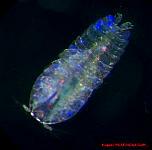 - To see a list of phyla with a picture beside each phylum and a basic description: Link to phyla page. - In the future, we plan to have a hierarchical list of all species pages available. For now, the best method is to select from the available species pages, under Advanced Search. - Many more species pages are available through the CMarZ species page clearinghouse.